Statistics New Zealand says last month New Zealand had its largest goods deficit for any January month on record - $914 million. “Both imports and exports were up compared with January 2018. However, this month’s large trade deficit reflects that imports are rising much faster than exports,” international statistics manager Tehseen Islam said. The previous record was an $894 million deficit in January 2006. 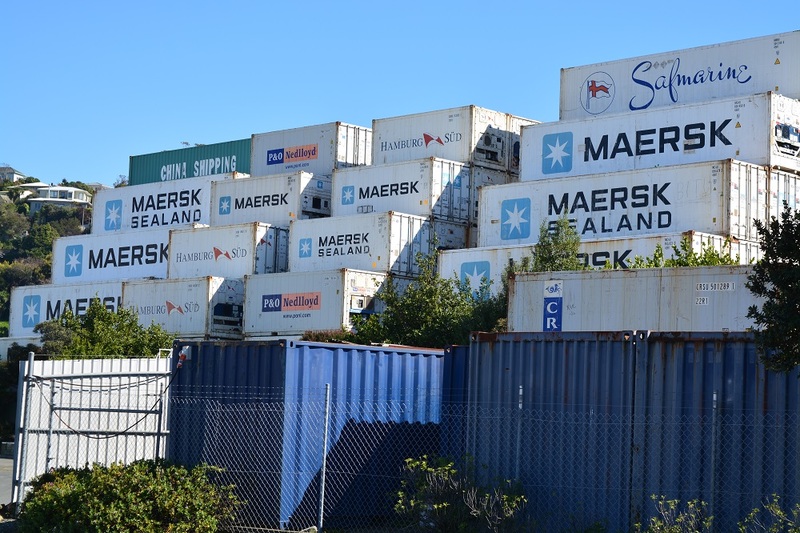 Stats NZ says, however that as two-way goods trade (imports + exports) has almost doubled since January 2006, the January 2019 deficit as a percentage of two-way trade is smaller than it was 13 years ago. The latest month’s deficit is equal to 9% of two-way trade, compared with 17% in 2006. And while there was a large deficit in January, monthly deficits typically peak at even higher levels in August and September, when dairy exports are relatively low. In January 2019, imports rose $379 million (7.7%) from January 2018, to reach $5.3 billion. Exports were up $128 million (3%), to reach $4.4 billion. The increase in imports was spread across a range of commodities, with petroleum and products leading the rise – up $81 million (13%) from January 2018, to $725 million. Crude oil was up $39 million and diesel up $34 million. Imports from all our top import partners increased; the largest rises were from China (up $139 million) and the European Union (up $107 million). The rise in exports was led by milk powder, butter, and cheese – up $167 million to $1.5 billion. Exports of milk powder, butter and cheese to China (our main export destination for dairy) rose $9.1 million from January 2018, to reach $200 million. Milk powder exports were up $120 million, mainly due to increased exports to Bangladesh and Thailand. Milk fats (including butter) were also up, by $55 million. “The increases in both milk powder and milk fats were driven by increased export quantities,” Islam said. The largest fall in exports was for meat and edible offal, down $66 million in January 2019 from January 2018. Lamb exports were down $26 million, while beef exports fell $28 million. Exports of lamb to the EU were at their lowest January value since 2006. The fall in beef exports was partly due to a fall to the United States. However, China (another large market for meat and edible offal) had increases in both lamb and beef. 1/ fully irrigate canterbury plains - there is enough water to do so and can add about $5billion a year in agricultural output and exports (not just dairy), as well as adding 10's of 1000s of jobs. 2/ resume oil and gas exploration to reduce fossil fuel imports in medium term. Foyle - you talk sense but with the COL clowns in charge you have no chance of that. There can only be one solution for this Labour government, as with most of them ( Messrs Lange & Douglas I apologise, no slur intended.) Tax, tax and more tax. Last time we had Jim Anderton to front it. How can we screen it this time? Would a friendly committee of selected personnel, and of pre-disposed nature, suffice perhaps? Yes National would have done much better. Sir Jung Kee would have simply sold off the other 50% of Genesis, Air NZ, Meridian among other SOEs and he probably has a few more houses for Ray Wong to sell as well. It's a shame he farted in the elevator before exiting on level 8 (ANZ HQ). Don't worry though Labour's got a plan to keep all our capital in NZ. It will all be spent upgrading the family mansion with Fletcher materials. Apart from the millennial generation who leave for good and exchange all their NZ pesos for AUD. Cannot disagree. It is though unfortunate when you have to decide who is the least worst of what’s on offer. But what I find most upsetting about your comment, is that you are even more cynical than me, it would appear! Bring back the nats. They have real business sense, especially some of the ones like Shipley and Graham who have proven their knowledge with directorships of highly successful companies. And the Nats have an innate ability to do nothing while providing everyone with a blindfold to self-tie. Makes me think they are fiddling with things they do not understand. No way, last thing we need is more Ag production. We struggle to sell what we have, one of the reasons dairy prices have improved is because we've finally stopped with the stupid production at all costs strategy. Let alone the environmental costs associated with even more irrigation the subsidies needed should preclude any more . So how do you propose we pay for our imports then? We need to sell something to the world to pay for all the things we need to import. I agree we need to pay for our imports. Hence we need NEW manufacturing or service industries. Simply intensifying exploitative industries such as Ag and Tourism is not a long term sustainable solution. Of course there's also the point that we don't actually need 80% of the crap we import we only want it. so an economic strategy to be based on hope and aspiration then? NZ, a high (and rapidly rising) labour cost, remote island nation at the end of long expensive and small scale supply chains, lacking network benefits of larger economies and with a government largely hostile to the productive sector and intent on making the labour market far more inflexible with retrograde industrial relation policies, that has on a whim shut down our heavy engineering sector (supporting oil and gas) is to somehow magically grow it's export manufacturing and service base. Actually that does sound like a plan worthy of the coalition, but only if you toss in a few cliche's about principles of the treaty and #8 wire. Oil and gas was going anyway even if you ignore CC. ie we need to move to something that is (dreaded word) sustainable in the long term. Ironically, we could be making money off exports of another natural resource in water. Yet National really didn't want to. Okay so what do we do once we have developed the plains...what are you going to plunder next...West Coast beech forest (as has been tried before)?. The question is...why do we need to do this? We need to stop and maintain the natural environment and make do with what we have. Why do people like you think we have to continually expand into the natural areas we have left? Such depressing thinking and outlook. And I think you might find water is not as plentiful as you maintain. We've stopped selling houses to overseas buyers, so there's a bit of income gone. I'm sure China is looking for some rocks and soil to build all those islands. And another naval base. Or perhaps some room for more re-education camps or organ donor waiting rooms. Would have taken a while to churn through 1.4 billion people to find the "greater fool" though. We need to bump up exports (and/or diminish imports) somehow - otherwise we will eventually be forced to sell houses, and land. hell, we just borrowed 60 billion against our agriculture assets, and returns are pretty good at present, look out for falling demand from China. Drop our exchange rate - exports make more profit and imports are discouraged. and these are the good old days, record prices on the farm, in the forest and orchard, yet we still run deficits. Perhaps it's to do with all the bank money creation against our homes, allowing us to import all those Audis,BMW and Mercs on tick? The comments are entertaining but the subject is serious. A point I made a few months back, and has been made before by others is that as a country we need to be looking for opportunities to recreate our manufacturing industries as a way forward. This is something we could learn from places like China, but we need to understand it is a long haul with returns a longway down the track. Im with you, we are going to learn a lot from China. Indeed. I would have thought some of the newer gen automation and machinery would have helped to close the gap a bit on production cost. More automation = less labour units required, so levels the playing field a bit on that front. Maybe our red tape and H&S is still a cost barrier? I'll always buy local when I'm confident that the price/quality proposition is good. ..........just like China has done for 70 years. Also QE is not an anathema. Look at who has done it.........to us. Bring in the RBNZ regs on the leech Oz banks. Immediately! Deliberately lower the exchange rate and then force the foreign property owners (including Australians) to liquidate. Hold their cash for a while and use it to cover the infrastructure deficit which they caused. And pay for it with inflation? No thanks. Don't knock inflation. Your asset follows it up and your borrowings stay at the uninflated value. Just joking. But maybe not. You will only know if you have tried it. Wonder why the sheep and beef / offal exports are down so much. Anyone know?